There really is no place quite like Jamaica. The Caribbean island has a quirky charm, upbeat rhythm and of course grooving sunshine. Discover the home of reggae, renowned for its friendly locals, tasty rum and tropical beaches on a family holiday to Jamaica. This fun family destination will have you exploring more than just the white sand beaches and the jerk chicken. 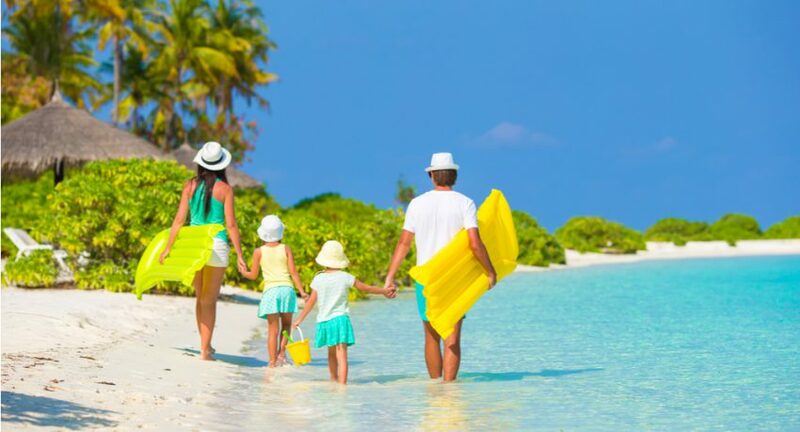 As experts in family travel, we have selected our top family hotels and resorts you should definitely consider when planning a holiday to Jamaica. Start planning your dream Caribbean escape today and search for Jamaica holidays– you’ll be sipping rum on the beach in no time. With its ideal location on the edge of Montego Bay, the Hilton Rose Hall Resort & Spa boasts stunning views of the Caribbean Sea. The resort’s accommodations offer both a comfortable and contemporary stay in this bustling area of Jamaica, perfect for families. With tropical gardens and a private sandy beach, a holiday here will be relaxing. 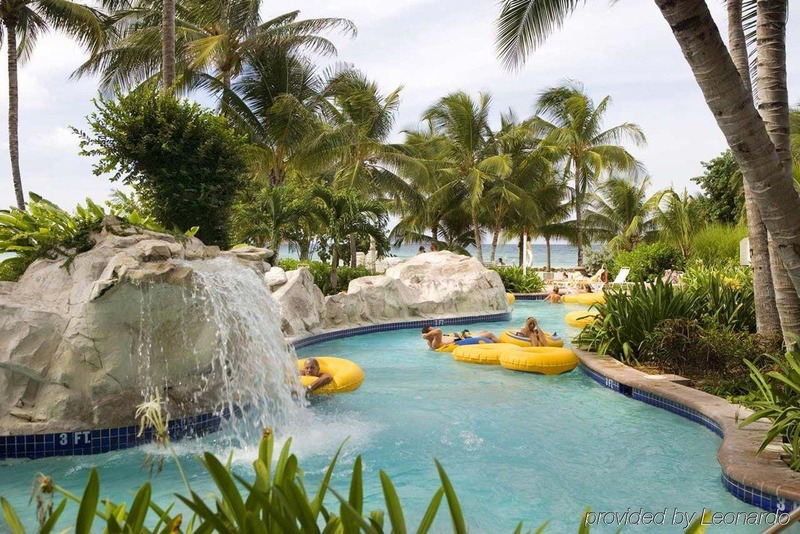 Don’t worry about the kids going bored, there are plenty of activities including a water park with three swimming pools, lazy rivers and lagoons. As well as this, there are plenty of water sports for you to try your hand at! This all-inclusive resort has something that all the family will enjoy with multiple thrilling and fun activities as well as restaurants to please all taste buds, including those fussy eaters. Jewel Runaway Bay Beach & Golf Resort offers golf, tennis, a beachfront infinity pool and even a water park for kids to splash about in. But that’s not all – kids will also enjoy the other activities available which include laser tag and archery so you can sit back and relax on the white sand beach with a rum punch. Rooms are stylish and spacious and accommodate a maximum of 4 guests making it a comfortable place for families to relax at night and prepare for a fun day ahead. 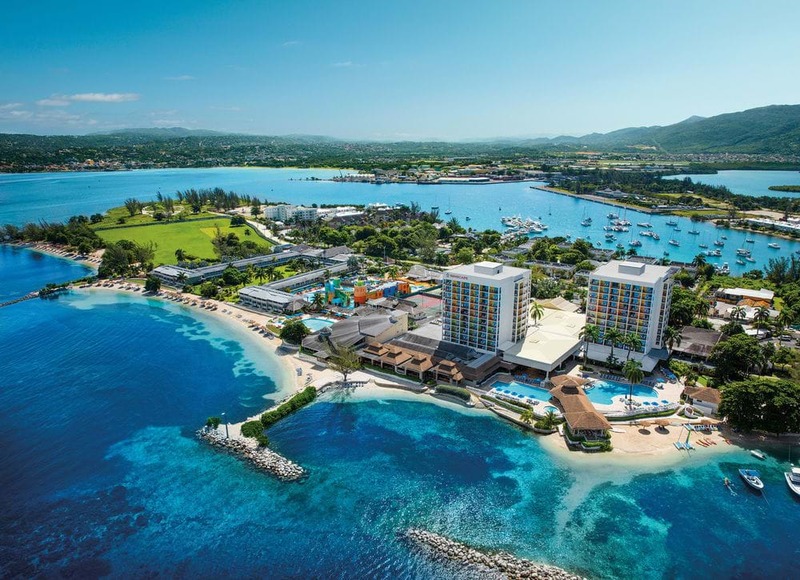 Your ultimate escape to Jamaica is waiting at the Moon Palace Jamaica where you can experience all-inclusive like nowhere else. The resort offers four swimming pools, five restaurants and six bars and the best bit is its beautiful beachfront location. Accommodations are modern and elegant with all the latest technology. 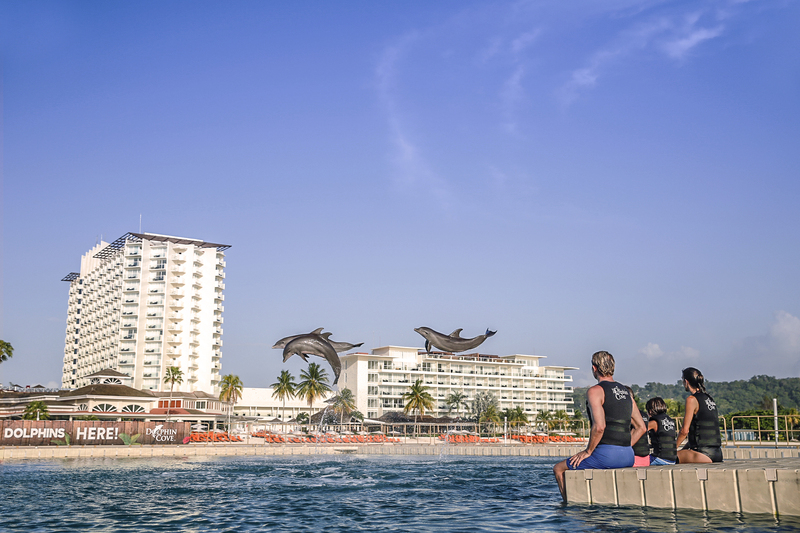 With a stay at the Moon Palace Jamaica, there will never be a dull day. The hotel has plenty of daytime activities including the FlowRider® surf machine and its very own kids club and teen lounge, perfect if you want to let the little ones have their own fun for a while so you can have a relaxing day by the pool with cocktails at your fingertips. All bookings will receive up to $2,500 resort credit which can be used on unforgettable experiences, spa treatments, tours and more! 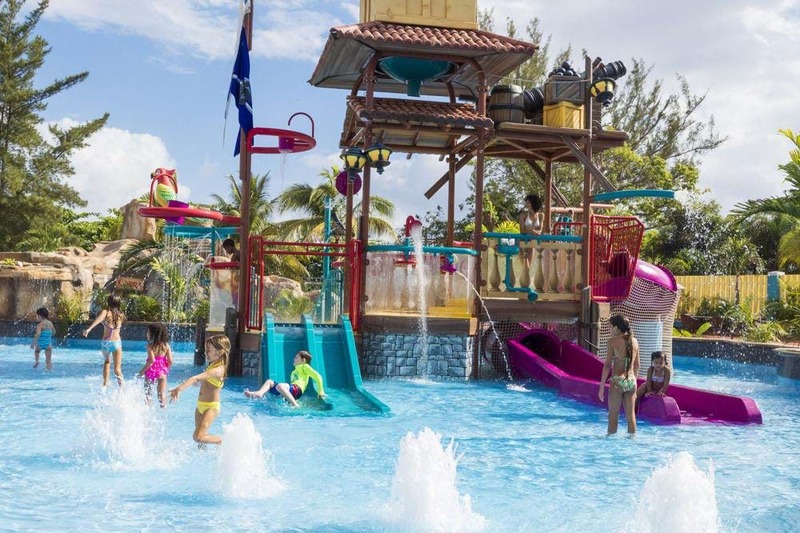 Bursting with family fun, Sunscape Splash Montego Bay is in the heart of all the action in Jamaica. With activities taking place every day – from cooling lessons to dance classes and movies on the beach – there will be something your whole family will enjoy. The resort is Montego Bay’s only Unlimited-Fun®hideaway and is just a 10-minute taxi ride from the Montego Bay strip. With two swimming pools and a lazy river with slides, kids will be sure to have fun splashing around this beach resort. 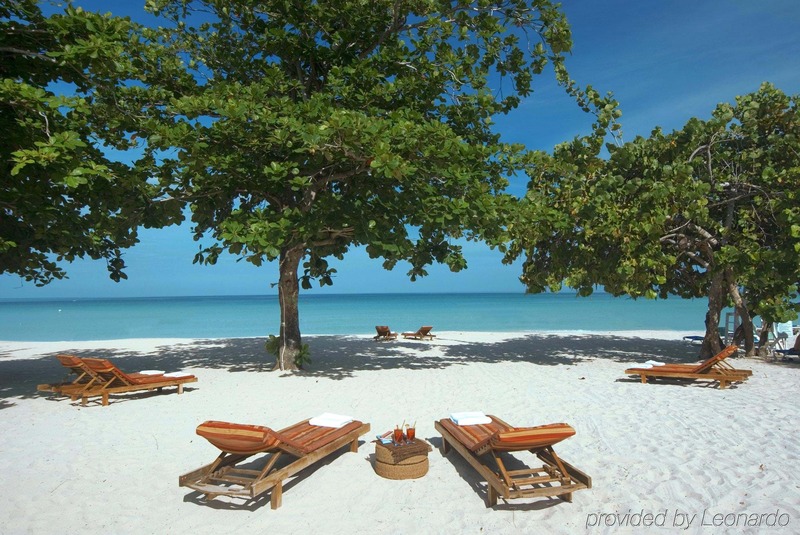 This all-inclusive resort in Negril offers a relaxing retreat for families heading to Jamaica. Tropical flair comes to life throughout this resort and picturesque views of the Caribbean Sea can be found on the resort’s very own beachfront. It’s not all about swimming, sunbathing and relaxation at this family resort. Guests can also take part in kayaking, aqua cycles, sunfish sailing and windsurfing. Snorkelling and scuba diving are also available at an additional cost. Spacious accommodations are perfect for families, all boasting stunning views of the resort’s grounds. Sounds like the idea of paradise, right? If you are travelling on a budget then we recommend checking out these four cheap all inclusive resorts in Jamaica. For those who have already booked and are travelling with kids, these hotspots are a must visit which kids will love! Share your Jamaica holiday memories with us over on our Facebook and Twitter pages. Note: Comments on the web site reflect the views of their authors, and not necessarily the views of the Holiday Genie internet portal. Requested to refrain from insults, swearing and vulgar expression. We reserve the right to delete any comment without notice explanations. Top four things to check out on a holiday to Charleston!